Having a checking account is essential for day-to-day transactions. But did you know that you could be earning dividends on the money in your checking account? You could – with a dividend-bearing checking account. A dividend-bearing checking account offers the ideal combination of easy access to your money with the earning potential of a savings account. Much like a savings account or certificate of deposit (CD), a dividend-bearing checking account is a way to earn a return on the balance in your account. But unlike a traditional savings account or CD, a dividend-bearing checking account also gives you access to your money for daily financial needs such as deposits, withdrawals, bill pay and debit card use. With a dividend-bearing checking account, you’ll earn a return on your balances. In other words, this type of checking account gives you a chance to put your money to work for you! Best of all, a dividend-bearing checking account is a safe way to grow your money. Instead of putting your cash in risky investments, you can rest assured that your hard-earned money is secure and protected in the account. Are you ready to let your money work for you? Consider moving your money to a dividend-bearing checking account, such as a Checking with Dividends account from Wright-Patt Credit Union. With our Checking with Dividends account, you’ll be paid interest in the form of dividends on your entire balance, including a higher dividend rate for balances over $25,000. The more you earn, the more you save. It’s the checking account that pays you back! 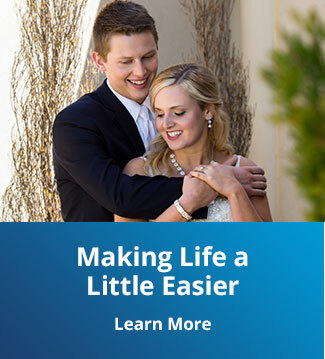 Start earning dividends with a $1,000 minimum opening balance and enjoy unlimited check writing, no per check charges, and all the great benefits of Wright-Patt Credit Union membership including free Mobile and Online Banking, a debit/ATM card, and access to a network of more than 40,000 lower-to-no-fee ATMs! Learn more about Wright-Patt Credit Union’s Checking with Dividends and stop by one of our convenient Member Centers near you to open an account today.